New Delhi: The Institute of Chartered Accountants of India (ICAI) organised its annual convocation today i.e. February 9, 2019 to award certificates of membership to over 2300 new members and facilitate 22 rank holders of the recent CA examinations at New Delhi. 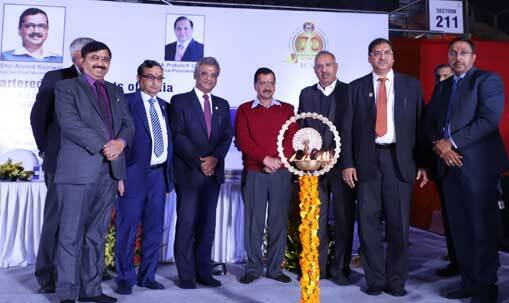 Shri Arvind Kejriwal, Hon’ble Chief Minister of Delhi was the Chief Guest of the ceremony. The gathering was also addressed by CA. Naveen N.D. Gupta, President, ICAI and Central Council Members, ICAI.